In July 2014, British tech company NanoSystem invented the world’s darkest man-made substance. The pigment, known as ‘Vantablack’, was seen as the blackest ever black – capable of absorbing 99.96 per cent of light, and akin to looking into “a black hole.” At the time, its development was seen as a breakthrough for science and the military, with many also speculating over the colour’s potential creative applications. However, after securing a deal with NanoSystem just months after its creation, Anish Kapoor managed to be given exclusive rights to Vantablack. The British-Indian sculptor is now, officially, the only artist in the world who is able to use or paint with the pigment. Predictably, the deal has since proven to be pretty unpopular – and in an act of retaliation, another artist has decided to make their own exclusive paint. 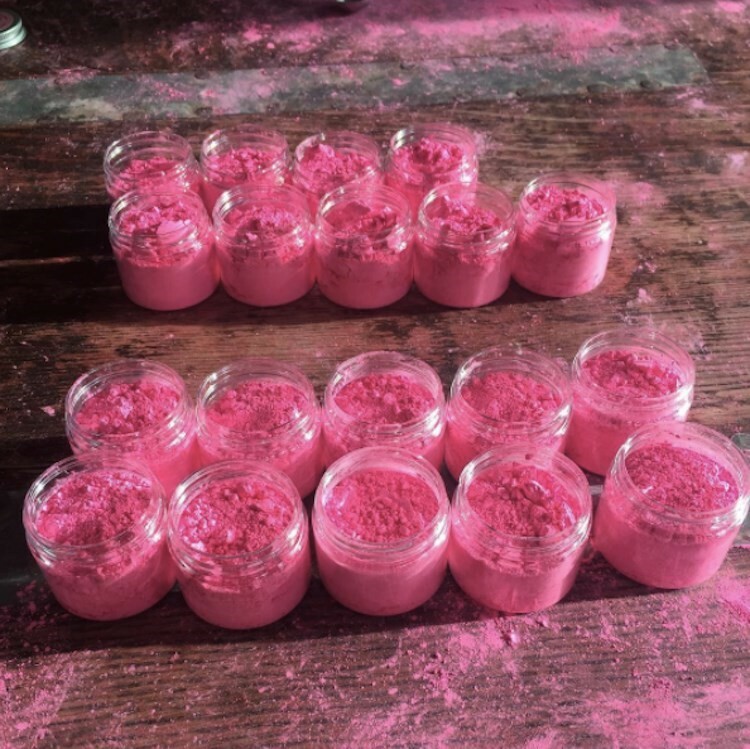 Stuart Semple’s new pigment, titled ‘PINK’, is marketed as the world’s “pinkest pink”, and was reportedly developed over a decade with global paint labs. It is available to buy for everyone – unless you’re Anish Kapoor. Semple requires all buyers to sign a legal declaration at the checkout, which ensures that the paint can never be bought by Kapoor, or by anyone affiliated with Kapoor. While he is yet to scientifically prove the paint is actually the “pinkest” in the world, he claims to have it on good authority that the sculptor is “desperate” to have some. Kapoor’s Vantablack deal has also sparked a #ShareTheBlack social media campaign, which sees artists from around the world ask the sculptor to drop the rights to the pigment, and make it available to everyone. Semple’s PINK paint is available to buy for £3.99 from Culture Hustle.